Grounds was born in Melbourne and studied at Scotch College and then on to the University of Melbourne. After graduation he went on to begin practicing and in 1932 won an award from the Royal Victorian Institute of Architects (RVIA). 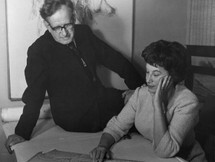 Grounds then left Melbourne to work in England and the United States for several years, gaining exposure to contemporary architectural developments. Upon his return to Australia, Grounds, along with a select group of other architects introduced the International Style to Melbourne. Grounds established his practice during World War II and began to build his reputation. 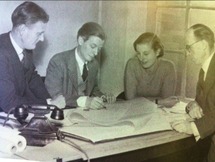 After the War he was involved in setting up the curriculum for the School of Architecture at the University of Melbourne, where he additionally lectured in design. 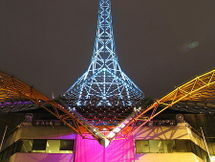 In 1960 Grounds was commissioned to design the Melbourne Arts Centre, which he then spent the last twenty years of his life designing. The project bought with it some controversy as delays and budgets overran.